Though Nintendo may trace its contemporary roots in video game industry success to the 35 year old Donkey Kong arcade, which provided a key breakthrough for the company, it is by no means the big N's oldest gaming product. 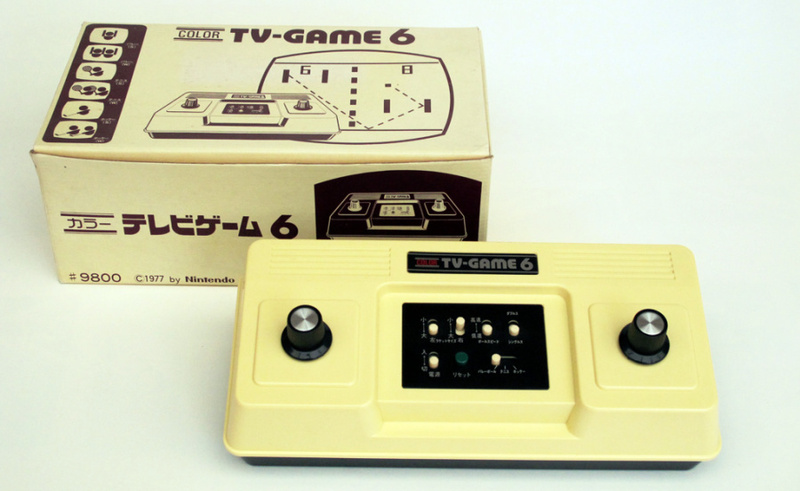 There were other arcade games, of course, but there was also a little-known gaming system that is effectively Nintendo's first ever console - The Color TV Game 6. Released in 1977, it's very much from the era when home systems were multiple variations of Pong and its mechanics - the intriguing part of the story is that it was co-developed with Mitsubushi, with Nintendo's branding not even prominent on the unit. It features multiple variations on the Pong concept, such as 'Volleyball' and 'Tennis', and was unsurprisingly released only in Japan. Our friends at The Centre for Computing History in Cambridge, England, have now published a video to show it off. It may not be an impressive device, as such, but it's nevertheless a part of Nintendo history. This unit and lots of other gaming systems - many of which will be more recognisable! - will be playable at the Nintendo Life Gaming Night at the Centre on 30th July; it's a family event that'll run from 3pm to 10pm. You can learn more about it in our announcement article, while some tickets are still up for grabs. Be sure to let us know what you think of this slice of Nintendo's history with a comment below. Quite interesting to see these in action. And Nintendo's R&D team wouldn't rediscover the 2 identical control sticks setup again until 2006. Maybe that part was Mitsubushi's doing? I played something like that when I was a kid. I'm sure there must have been many similar products. It might even have been this exact product but there's no way I could tell for sure. We're talking early to mid 80's. Back then it was brilliant and high tech. You'd turn the knob left or right to move your paddle. Then there were options to speed up the ball or change the size of the paddle and it kept the score on screen like this. Though I remember it being it in black and white but that could have been because of the TV. @ekreig Not quite control sticks, but Virtual Boy had two identical D-pads based on the images I've seen. Reminded me of this video from a long time ago. It's a pretty good showing of some of those old consoles. It's not polished, but it's pretty informative. Love those dials! Etch-a-sketch potential. Let's hope the analog stick of the future becomes a pair of dials. Oh my... the Nintendo ancestor. First time i see that. pong with digital controls? ew! I wish I could attend that gaming night and say hello to everyone. Have fun guys! Again, woefully underpowered hardware from Nintendo, no traditional controller, no third parties, no achievements, need I go on? @SLIGEACH_EIRE A bit offtopic, but hello from Wicklow! @SLIGEACH_EIRE There was a giant number of pong clones, most of them similar to one another. Check out the AVGN video Pong Consoles, maybe there you find the exact one you had. I know what a Mitsubishi is, I don't know what the heck a Mitsubushi are. Racing 112 is in the first WarioWare.